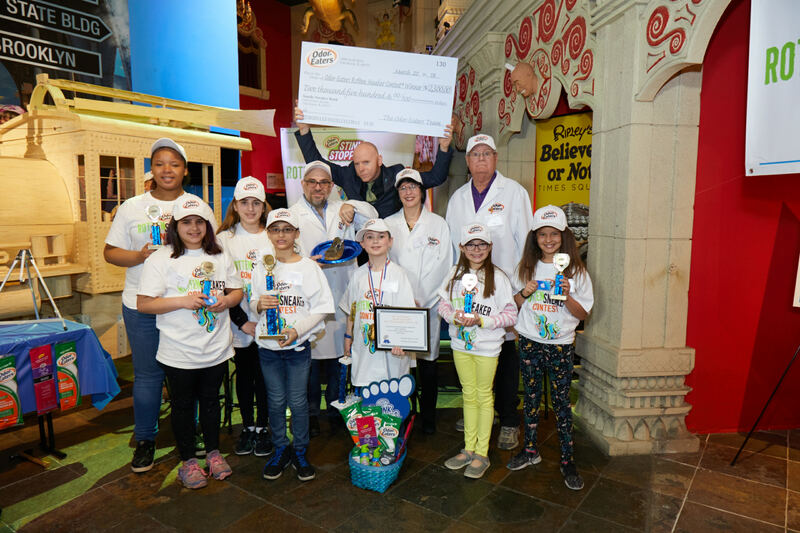 NEW YORK, March 21, 2018 /PRNewswire/ -- Regional winners of the Rotten Sneaker Contest® gathered at Ripley's Believe It Or Not! Times Square for the 2018 national competition. 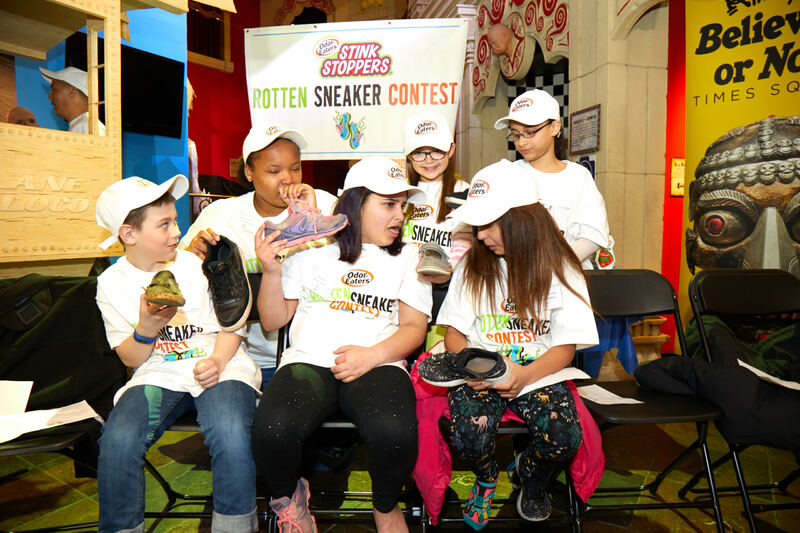 Six contestants from across the country, ages eight to fifteen, went head-to head in New York City today to show off their foul smelling sneakers for a chance to win the national title. 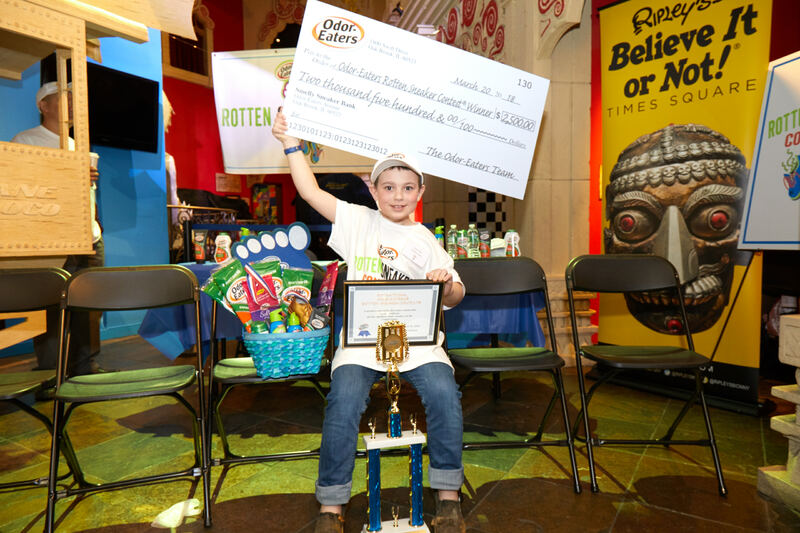 But only one pair of sneakers could be crowned the winner and they belonged to eight-year old, Hunter Hamm, from Eagle River, AK. 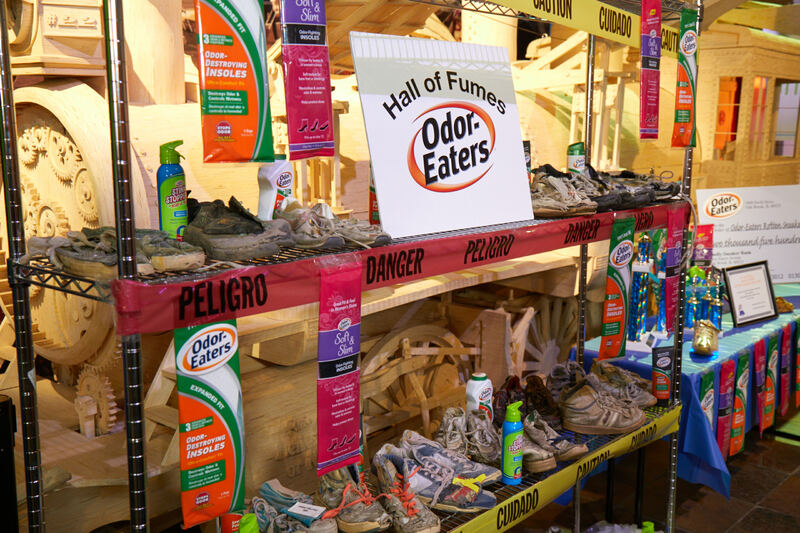 The Odor-Eaters Rotten Sneaker Contest is the ultimate test that shows how offensive kids' sneakers can get when they are playing outdoors, splashing through puddles, slogging through mud and more. For many years kids from across the country look forward to this annual event in their hometown. Participants take pride in mucking up their shoes to stand out from their competitors to ultimately win over the judges. Sneakers are judged on the interior and exterior conditions of the shoe, and most importantly odor, by a professional panel that includes NASA "Master Sniffer" George Aldrich, Chemical Specialist for NASA space missions, and Rachel Herz, Ph.D., an expert and author on the psychology of smell. Also returning this year is Buck Wolf, Executive Editor at Huffington Post. This year, Hunter was the grand prize winner of $2,500, out-stinking other contestants including, Phoebe Bum (Wheaton, IL), Maelin Lombardi (Aurora, CO), Willia Burton-Orr (Cranston, RI), Koury Judd (Las Cruses, NM), and Jessnally Ortiz (Bronx, NY). The champion confessed that his sneakers got dirty and smelly because he wears his sneakers all the time skateboarding, biking, fishing and helping out in the chicken coop. Hunter also received an additional two-night stay in New York City, tickets to the Broadway Show The Lion King, the Golden Sneaker Award, and a supply of Odor-Eaters products to kick out the odor from his new sneakers. Hunter's rotten sneakers will also be enshrined in the Odor-Eaters "Hall of Fumes". For more information about the Odor-Eaters Rotten Sneaker Contest or Odor-Eaters products, visit www.odor-eaters.com or the Odor-Eaters Rotten Sneaker Contest Facebook page.